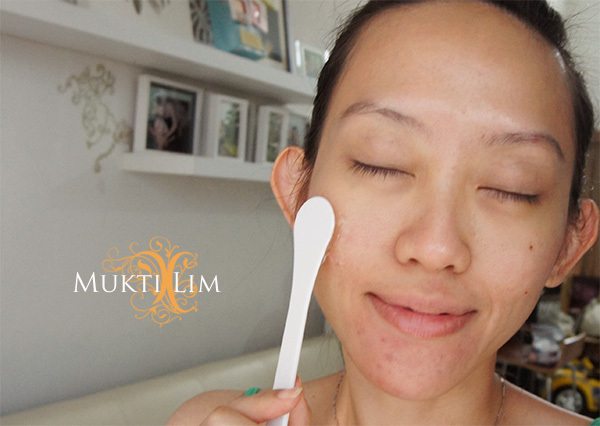 Do you love to use face mask regularly? 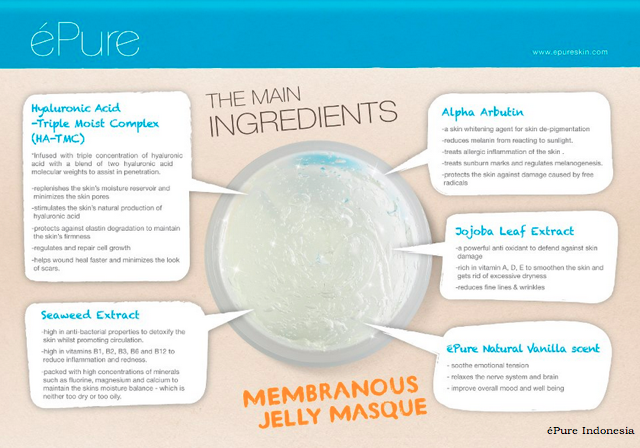 Have you tried jelly mask? 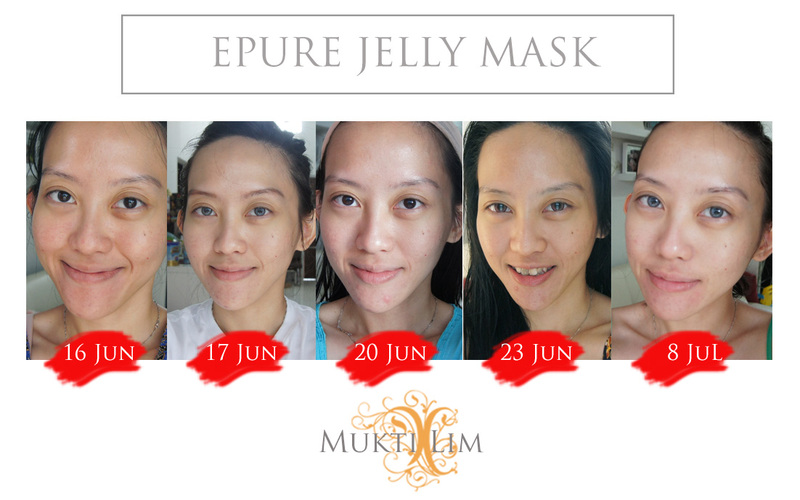 éPure Indonesia offered me to try its popular jelly mask product that I could not reject it. Thanks to Epure Indonesia for letting me try the mask. So I'm gonna introduce this mask and share my experience to you. 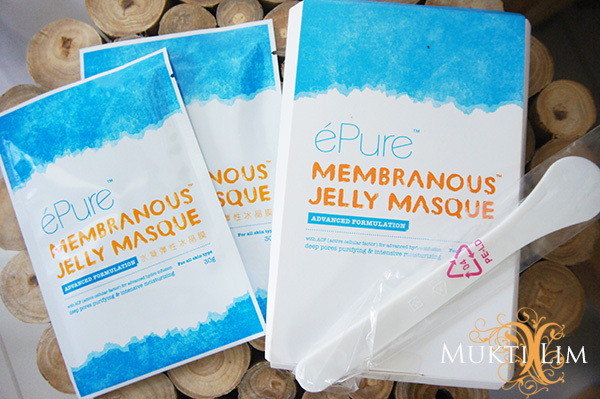 It's éPure Membranous Jelly Masque that already help me to bring my instant moist and glowing skin. Let me tell you first (again) my face skin condition. - Been dealing with acnes since teenager *sigh* mostly because of hormonal imbalance, stress overload, lack of sleep. 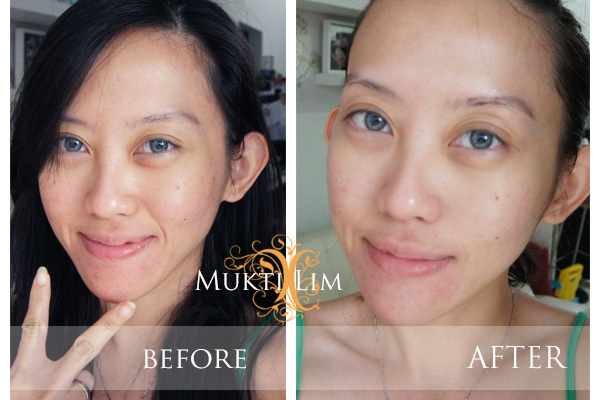 I used to take meds from dermatologist to help me calm the appearance of acnes. It works, they were disappeared . But since early of this year I've decided not to use any of meds from my dermatologist and try to treat my face with other beauty products. After I stopped using my dermatologist meds, those acnes were back ruining my face. But after trial and testing some of beauty products, I found some that can help to calm the acnes. My face is still not clear from acnes right now but it's getting better. 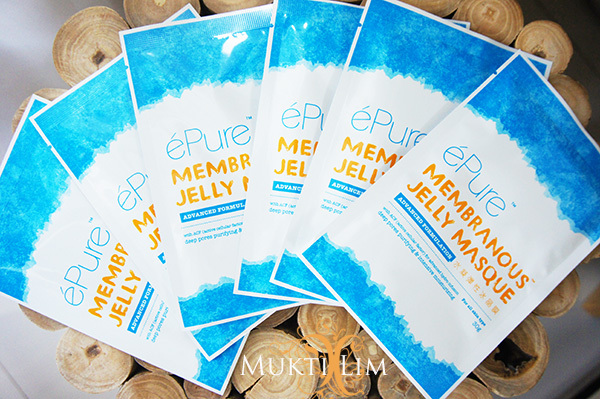 éPure Membranous Jelly Masque is developed by the renowned Dr Yulong Moy from USA and it is made in Taiwan. The first of its kind facial mask with Active Cellular Factor. The mask is also popular among celebrities in Asia and got awarded as one of 100 favourite product in Malaysia in 2013-2014. They also sponsor Miss Malaysia. I got one box full with 6 packs of mask and with spatula included. 1. For cooling effect, you can keep the masker in the fridge before using. 3. Use any toner and serum on your face. 4. 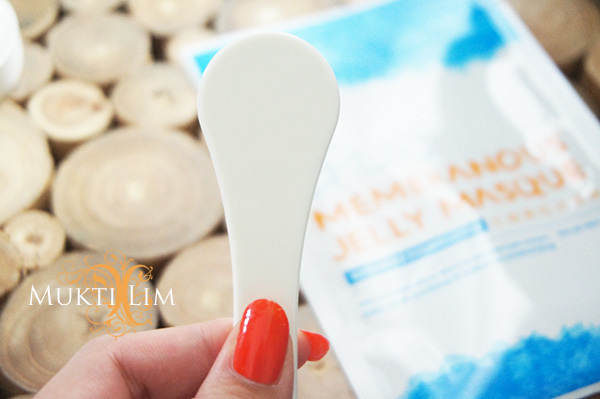 Apply the jelly mask on your face with thickness around 0.3-0.5 mm. Thicker on your problem area such as on your T-zone. 6. Scrap the mask with the spatula. See the jelly looks turbid after using on my face. 7. Rinse off the mask with water and you can massage your face while rinsing. 8. Continue with your skin care routine. If you have dry skin, it's better to use the mask 2-3 times a week. If you have oily skin , you can use 3-4 times a week. And for myself, I tried to use it once every two days in the first week but in the third week I only use once in 3 days (too busy). You can see on before picture my skin looks a bit red (almost all of my face). So during my experience with epure, my skin does not look bright everyday. Because I'm also using other exfoliation product that makes my skin sometimes looks dull, red, and more sensitive. But I'm so happy with éPure result. After using it around 45-60 minutes, the redness on my face is calmer and almost gone instantly though you still can see it on some spots but it's better. 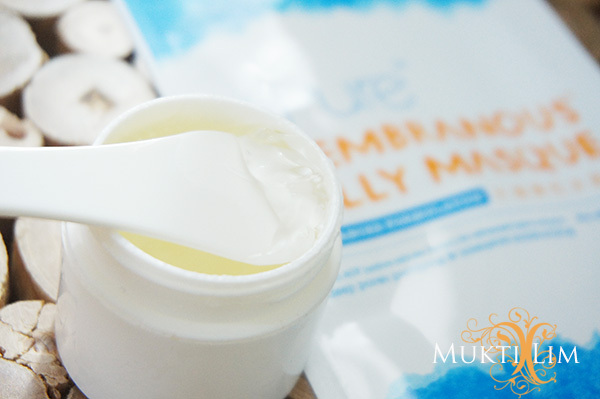 The skin becomes more supple and moist. So this is my journey of using éPure for almost 3 weeks with usage once every two days in first week and once every two-three days in next week. 16 June -> very dull and red (gosong dan kusam). Using éPure for the first time. 17 June -> taking pic with no makeup (only use eyebrow pencil). Skin looks brighten. 23 June -> you can see the bigger one on my left chin is almost gone. But the other one gets bigger :D.
8 July - > face was a bit dull again, but all the bumps are gone. Only left some red spots. éPure helped me to calm the redness again. - moisturising and lightening my skin. - sticky feel when using it. - a bit difficult to rinse off. Price is around Rp.499.000 for one box (6 packs in the box). This post and review is truly based on my experience of using it. I did not edit the picture (only made collage and added with watermark , text ). Result may vary with different people and different skin condition. daku pakai yang anniesway tipis banget, kan sama sama jelly tuh, ahahaa pelit bgt deh daku..